HAMILTON, Bermuda — New Zealand is one victory away from repossessing the America’s Cup, which is minimal assurance for Kiwi fans who watched through their fingers as Oracle Team USA put a fist through the top of its own coffin and came from very far down to win in 2013. But there is no doubt that Emirates Team New Zealand is in a commanding position. Brimming with bright ideas and fast in the light winds expected to keep prevailing in Bermuda, it has a 6-1 lead on Team USA in this first-to-seven America’s Cup rematch. Still, if the Kiwis have truly learned from the past and can find a way to hold a lead in the present, and thus earn the right to draw up the rules for the next competition, they will have hard choices. 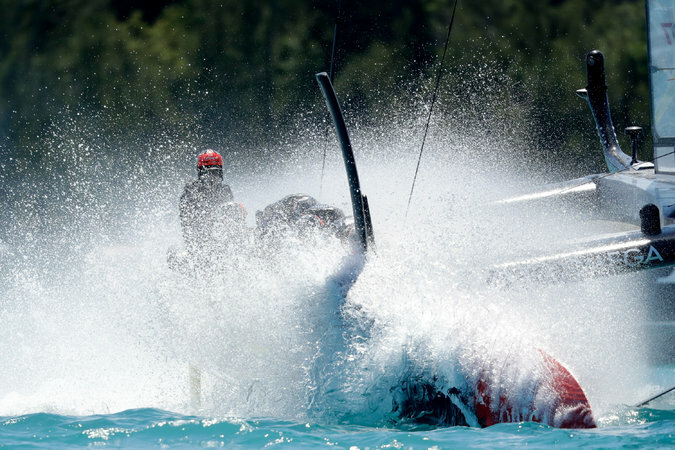 The hardest: Should they stick with foiling catamarans or listen to Patrizio Bertelli, the head of the Luna Rossa team, who has a thing for big monohulls and whose Italian syndicate could well be back in the next Cup as the Kiwis’ challenger of record? What does seem clear is that the New Zealanders and their chief executive, Grant Dalton, are eager to tighten the America’s Cup nationality rule. This is to their own advantage — talented Kiwis are everywhere in the Cup. But it is also an acknowledgment that many of the current Cup teams have failed to create a genuine connection with the countries they represent but do not necessarily reflect. This Cup match is, more than most, about what the venerable event should become. Oracle and its owner, Larry Ellison, who loves to transform what he touches, want to continue turning the Cup into something resembling a professional rinse-and-repeat circuit like Formula One auto racing. The Kiwis, who are not convinced the league concept is a sustainable model given the current participation rates, want to preserve the traditional defender-challenger divide. They also quite likely want to reverse the trend toward one-design elements that may not cut costs as much as Oracle and others believe. But this Cup match is also a contrast in means and identities. The Kiwis are on a tight budget; many returning members of their team have taken pay cuts since the Cup in San Francisco in 2013. Oracle continues to enjoy Ellison’s beneficence, although even a billionaire like him realizes that spending to great excess only dissuades others from coming to play in his sandbox. 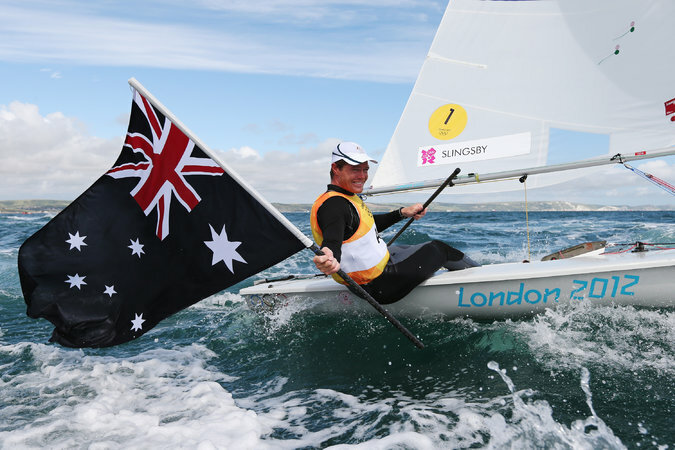 As for identity, the Kiwis have a sailing team consisting of New Zealanders with just one exception: Glenn Ashby, the skipper and wing trimmer, is Australian. 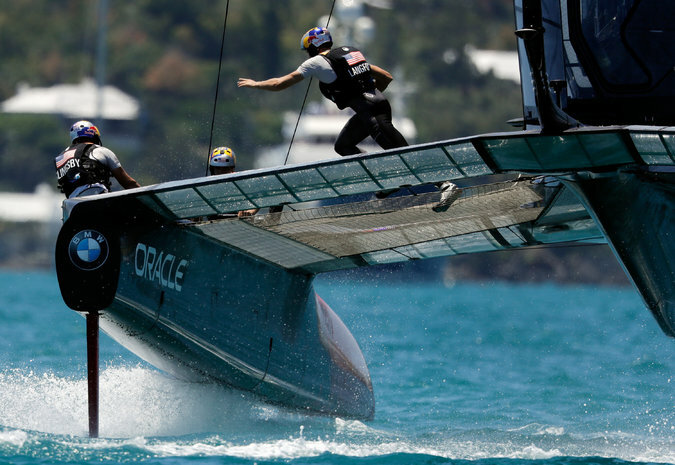 Oracle has a sailing team that is as international as a Silicon Valley startup. Of the nine sailors who took part in the two races last Sunday, only one — the grinder Cooper Dressler — is a full-blown American, although the tactician Tom Slingsby and another grinder, Louis Sinclair, do hold United States passports. In contrast, seven of the nine hold Australian passports, including the skipper Jimmy Spithill, the wing trimmer Kyle Langford and Slingsby, who grew up in Australia and has represented Australia — and only Australia — at the Summer Olympics. Small wonder that a Kiwi supporter on social media made mischievous use of photo-editing software the other day to change the lettering on Oracle Team USA’s boat to Oracle Team AUS. Mischief is, of course, an America’s Cup specialty, and there are good counterarguments. To pretend the America’s Cup has always been about national teams is simply false. Charlie Barr, a Scotsman by birth, won three straight Cups from 1899 to 1903 as a skipper on American yachts. The Cup’s governing document, the Deed of Gift, which was first written in the 1850s, still defines the Cup as a “friendly competition between foreign countries.” But while it was completed in the 1850s, there was no nationality restriction on crews until 1980, when the New York Yacht Club, which had held the Cup since its inception, pushed through a rule requiring that crew members reside in the nation of the yacht club they represented. That held until 2003, when Ernesto Bertarelli, a Swiss billionaire, hired the helmsman Russell Coutts and a group of talented Kiwi sailors away from Team New Zealand. He made sure they had domiciles in Switzerland to comply with the letter — if not the spirit — of the rules, and then soon got rid of the rule altogether after he won the Cup in 2003. In the 2007 competition, there were all sorts of mercenary moments, including Frenchmen sailing for a Chinese yacht club. So it has more or less remained, although Coutts, now the head of the America’s Cup Event Authority, helped reintroduce a very limited crew nationality rule for this edition. It requires that one crew member on board hold the nationality of the yacht club he represents. A majority rule seems a reasonable compromise, as long as there are provisions made for new Cup teams — think of Asian teams — who hail from nations that have not yet developed enough elite sailing talent to be remotely competitive without imported reinforcements. But the traditional Cup powers should consider a change, and they should also link Cup nationality to Olympic eligibility. Represent Australia in the Games? Then you must do the same in the Cup to count toward the rule. There is, of course, much more to an America’s Cup team than sailors. There are designers, builders, shore crew and more. Team New Zealand has plenty of non-Kiwis in those roles, including key design-team figures like Dan Bernasconi, who is British, and Guillaume Verdier, who is French. This is another good point, but the public faces matter most in generating a connection in sports. 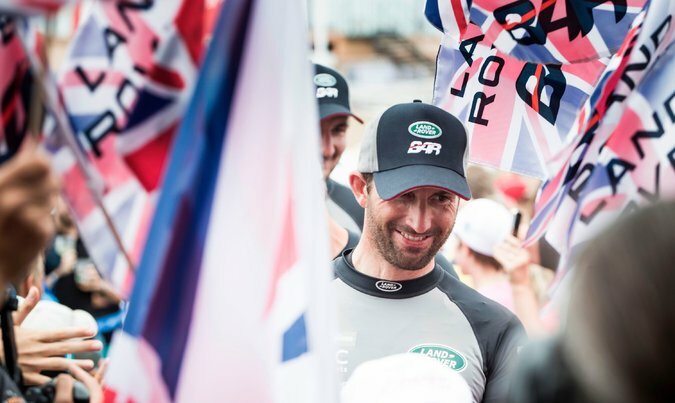 And it does not seem coincidental that the teams that generated the most interest at home in this Cup — Team New Zealand and LandRover BAR — also had crews full of New Zealanders and Brits. The Kiwis apparently agree. And for now, if only for now, they are the team with the wind very much at their backs.